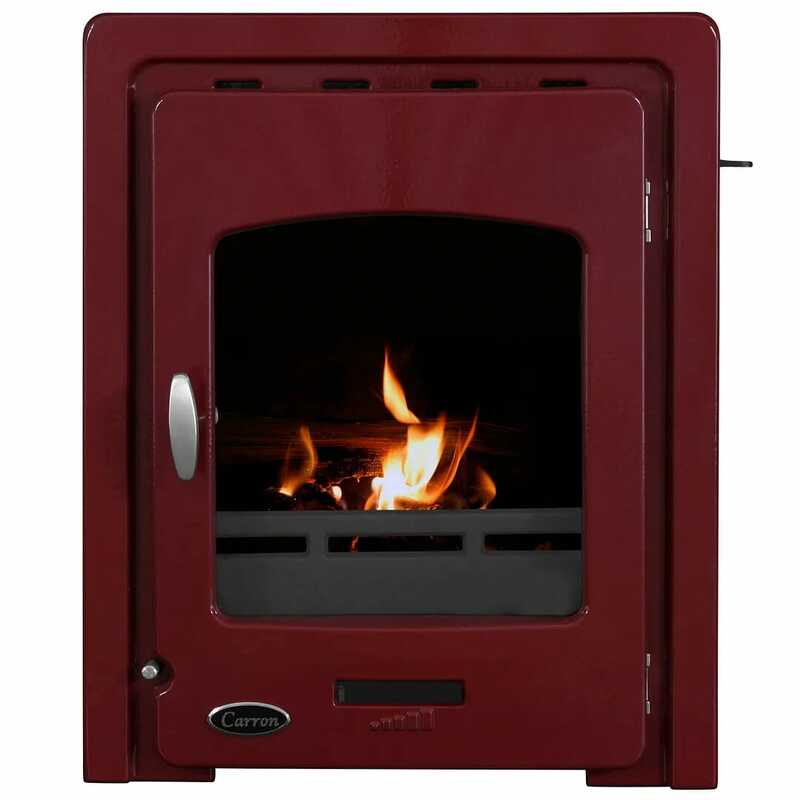 The Darwin red enamel multifuel wood log burning stove is a classic design and extremely practical. The stove is cast iron construction, with a dual top and rear flue outlet. Width 19;" (485mm) - Height 23 ¼" (590mm) - Depth 12 ½";" (325mm) - Flue size 5" (125mm). The stove as an airwash top and bottom which helps keep the glass clean. 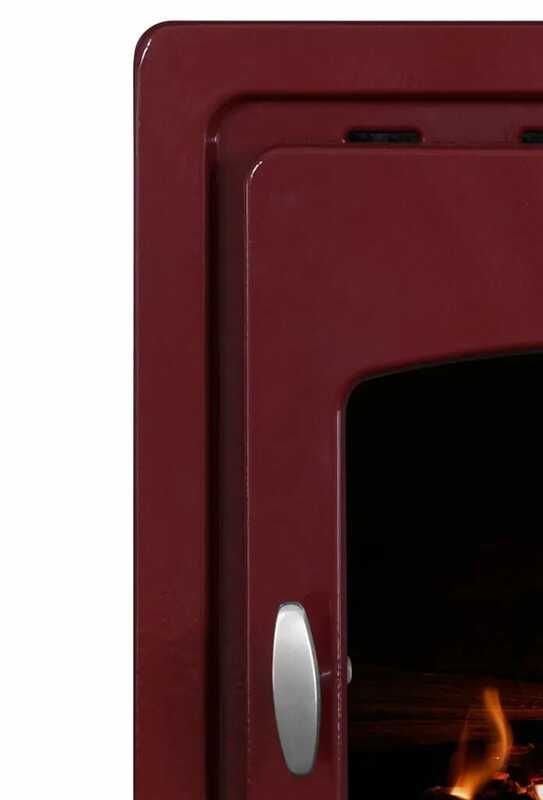 The stove must be placed on a solid non-combustible hearth extending 300mm at the front of the stove, 150mm either of the stove and 50mm at the rear. The hearth must have a thickness of at least 15mm. 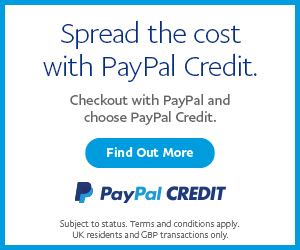 (Refer to the UK Building Regulations). The Carron stove comes with a 1 year guarantee on the inner parts (Grate, Fret and Firebricks) and a 3 year guarantee on all other components. As with most solid fuel appliances, Carron recommend the first fires to be small and to use only very dry wood.